Mars Global Surveyor was a global mapping mission that carried a suite of science instruments for studying the entire Martian surface, atmosphere, and interior. 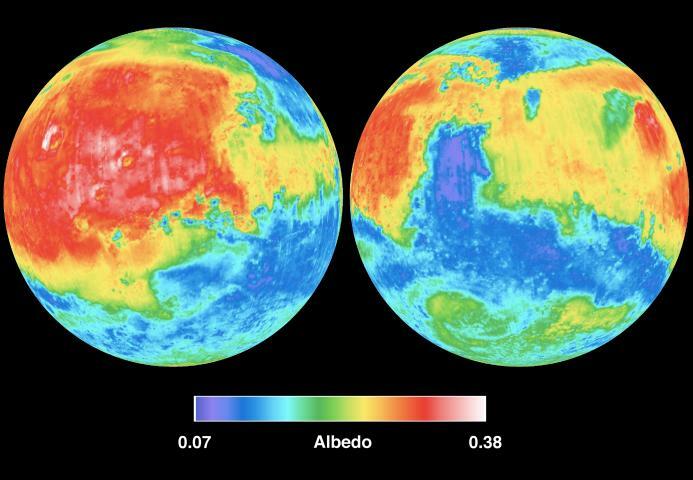 Mars Global Surveyor provided a global portrait of how Mars looks today, and helped scientists better understand the history of Mars' evolution. With this information, humans have a better understanding of the history of all the inner planets of the solar system, including Earth. This camera produced a daily wide-angle image of Mars similar to weather photographs of the Earth, and also took narrow-angle images. The Mars Orbiter Camera provided a continuous record of Martian weather and supported the Mars Reconnaissance Orbiter as it flew toward Mars and entered the aerobraking phase. The narrow-angle lens captured images of objects as small as 0.5 meters (1.7 feet) across. These ultra-high-resolution images were achieved using a technique that adjusted the spacecraft's rotation to match the ground speed under the camera. These observations looked for changes in surface features over time and helped characterize the properties of fluids involved in gullies identified on Mars. 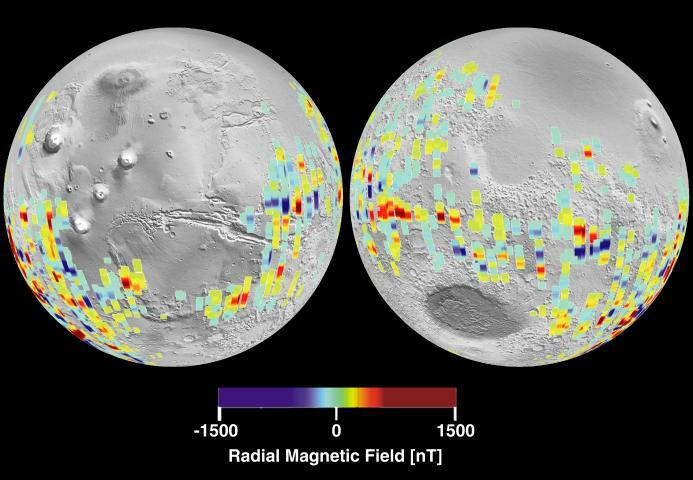 The Mars Orbiter Camera monitored dynamic seasonal processes and supported the landing site selection process for future rover and lander missions. In addition to semi-annual releases of large collections of archived pictures (250,000 images so far), the Mars Orbiter Camera team posted a new image daily, and solicited public suggestions for camera targets on Mars. This experiment measured the height of Martian surface features like mountains and depths of valleys. The Mars Orbiter Laser Altimeter created the most accurate global topographic map of any planet in the solar system, giving scientists elevation maps precise to within about 30 centimeters (1 foot) in the vertical dimension. Data from the laser altimeter identified pathways for the flow of past water and the locations, sizes, and volumes of watersheds. The instrument detected the heights of clouds and identified dynamic features in the atmosphere, such as gravity waves. 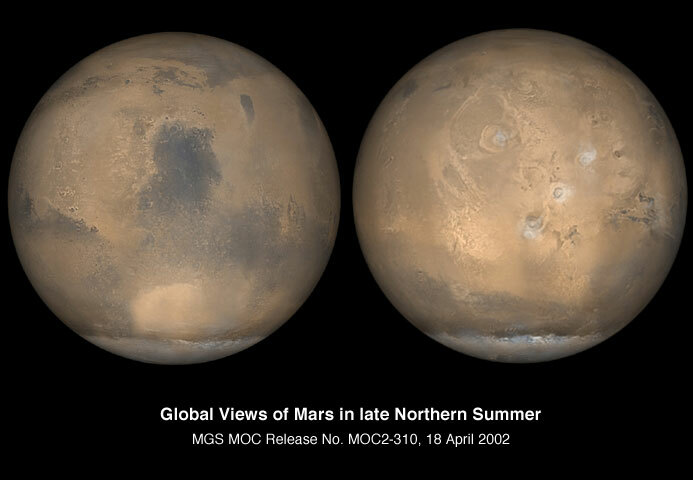 The Mars Orbiter Laser Altimeter showed seasonal changes in the height of the Martian surface (such as snow depth) that represented the first direct global measurement of the amount and distribution of condensed carbon dioxide. In June 2001, part of the laser reached the end of its life, but a sensor continued to detect changes in surface brightness in the near infrared part of the spectrum. These data provided evidence of cloud coverage and atmospheric variations. This instrument studied the atmosphere and mapped the mineral composition of the surface by analyzing infrared radiation, which scanned for heat emitted from the surface of Mars. 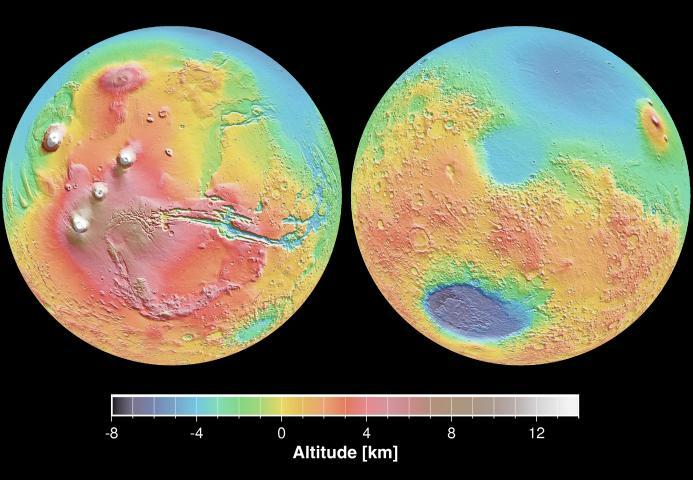 The Thermal Emission Spectrometer discovered new mineralogical and topographic evidence that suggested Mars had abundant water and thermal activity in its early history. Data indicated clear evidence of an ancient hydrothermal system, implying that water was stable at or near the surface and that a thicker atmosphere existed in Mars' early history. Measurements showed an accumulation of the mineral hematite, a mineral that typically originates in standing bodies of water, near the Martian equator. This deposit of hematite, and knowledge of other minerals on the surface of Mars, helped scientists direct the Mars Exploration Rovers to the Meridiani Planum and Gusev Crater. The magnetometer studied the magnetic properties of Mars to gain insight into the interior of the planet and better understand the early history and evolution of Mars. The magnetometer discovered that Mars' magnetic field is not globally generated in the planet's core, but is localized in small, particular areas of the crust. Multiple magnetic differences were detected at various points on the planet's surface, indicating that magma solidified as it came up through the crust and cooled very early in Mars' evolution. The localized magnetic fields formed the basis of a new model for how the solar wind interacts with Mars (in contrast to the way the solar wind interacts with planets like Earth and Jupiter, which have strong magnetospheres). 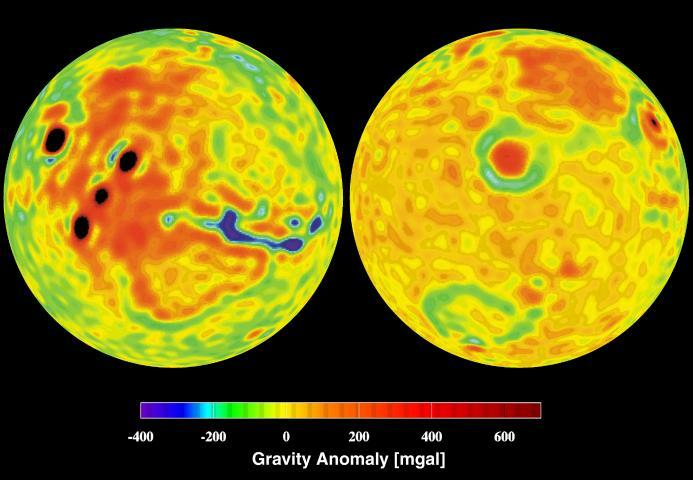 The radio science investigation used data provided by the Mars Global Surveyor's telecommunications system, high-gain antenna, and onboard ultra-stable oscillator (an ultra-precise clock) to map variations in the gravity field. These measurements also enabled scientists to determine the atmospheric pressure at specific locations as the spacecraft sent its signal through the atmosphere while disappearing behind the planet and re-emerging every orbit.